Arizona Science Center and Stratum offer a variety of interactive educational experiences that bring learning to life for K-12 students. An Arizona Science Center instructor will teach and facilitate the programs through hands on demonstrations and experiments. Students are encouraged to utilize creativity, collaboration, and critical thinking to relate to the concepts. Programs provide a rich learning experience, support content standards, and create excitement. Add a STEM class to your Stratum field trip! 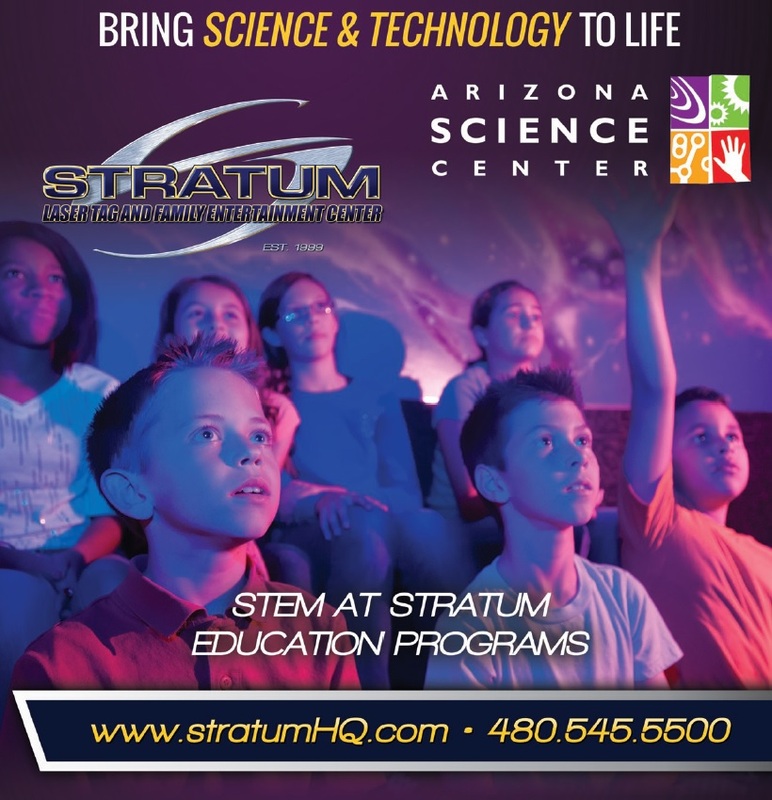 These two hour programs at Stratum include a hands on workshop with Arizona Science Center staff and two games of laser tag. Let us take over your site for a half day of fun, engaging, hands-on learning. Students will enjoy rotating through assemblies, science demonstrations and hands-on activities for up to 500 students. This model can be customized based on numbers of learners, space, theme and budget.